What does the word "home" mean to you? Maybe you've moved around a lot and have lots of places that you could call home. Or maybe, for you, home isn't a house at all, but your favorite spot under that shady tree by the creek. Today, you'll use your ideas of what makes a place "home" to inspire your poetry. "Home" is a really big word that can mean all sorts of different things. One of the best parts of poetry is that it turns really complicated and vague ideas into vivid descriptions that mean something special to the poet. Poets make their poems vivid and describe their experiences in ways that come to life for their readers by being specific. But how do you make a poem specific? It all comes down to using your senses and focusing on one thing. Let's begin by using your five senses to picture the word "home." What does the word "home" taste like to you? What does home smell like? What does home sound like? What would home feel like if you could touch that word? If "home" had a shape, what would that word look like? It could look exactly like your real-life house, but it could also remind you of a tennis ball or a canoe! Now that you have some ideas, you can create a sensory poem by writing "Home is..." and then adding a sound, smell, texture, or taste to each line. For example, "Home is soft and cuddly like my cat's fur. / Home smells like a cinnamon candle." Another way to make your poem vivid and specific is to focus on one thing. When you think of home, what memory comes to mind? The key is to narrow your focus to just one memory of home. Is it just as you walk in the door after playing out in the snow? Maybe it's running through sprinklers in the back yard in the summer. You may think of lots of memories, but save the rest for another poem! For today, choose just one. Now that you've chosen your memory, you can start creating a poem about it. You can even add a few sensory details from the questions above to make your poem more vivid! 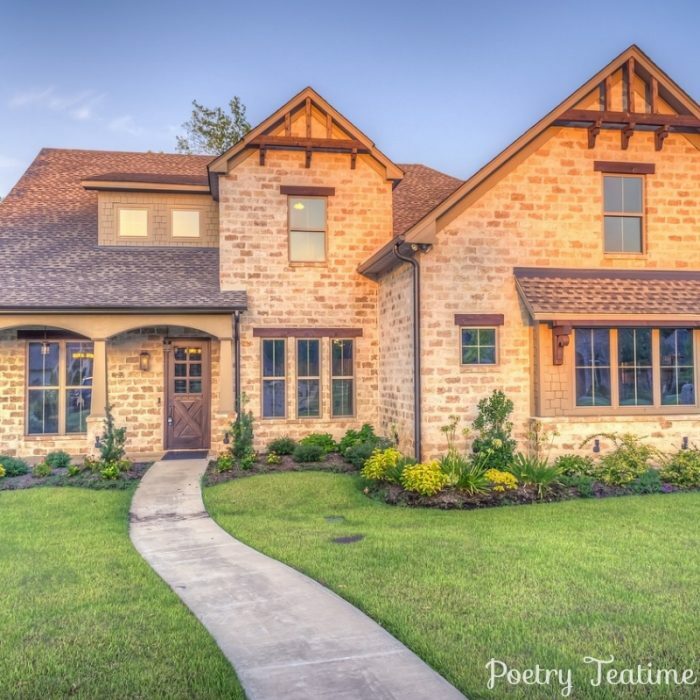 Let us know if you've written a poem about home by sharing it with us here!